Piercing on lips has emerged as the most fashionable trend now-a-days. Though taking care of it is very essential otherwise it can infect your lips and it has the tendency of getting infected in the first few weeks of piercing. Therefore you have to be more particular about the cleansing of your lips. The below steps can be followed while caring for your pierced lips. Most piercing salons will offer you some kind of germicidal topical solution to be applied on your new piercing. These solutions are very much beneficial to your piercing as they prevent them from getting infected and also keeps the area clean. Always remember to wash your hands before touching your pierced zone. Smoothen a little quantity of soap on the ring to spin and then thoroughly cleanse it with water. Using a non-alcoholic product to wash inside your mouth will be a good idea. Product like Listerine contains alcohol which will restrain your healing; rather you can use crest prohealth, biotene or combination of ¼ tsp of salt and 8 ounce water. 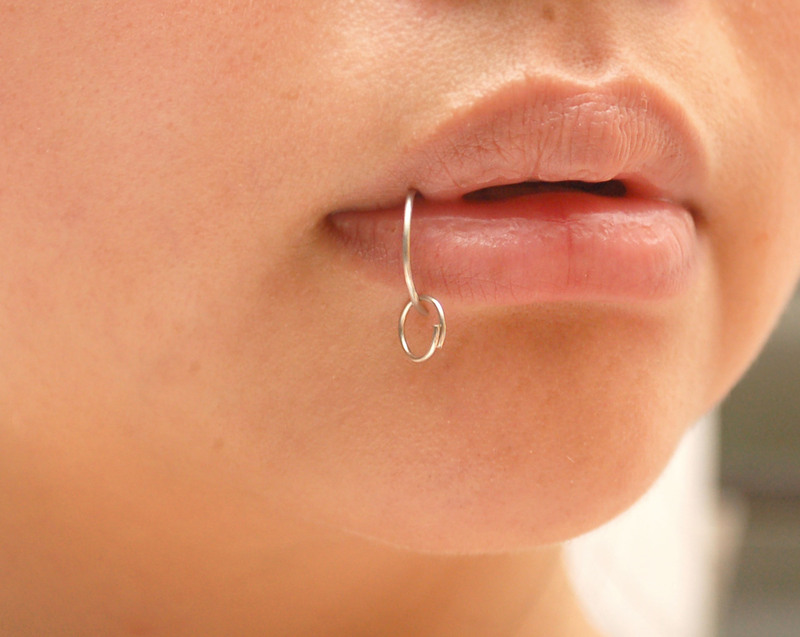 Packaged sterile saline solution is also beneficial to take care of your pierced lip. Whereas do not fail to remember to consult with your health service provider before using saline solution if you have high blood pressure or any heart diseases. Piercing is a puncture wound; hence Neosporin will not be able to heal it. Therefore avoid of using these kinds of products. To clean the outside area of your piercing you can mingle ¼ tsp un-iodized salt to a half cup of luke warm water and wash with cotton gently. Peroxide solutions should not be applied on your new piercing. These solutions will dry out your piercing fast but it can damage your body. Do not forget to clean your mouth after having every meal. You have to brush your teeth as well. If you found crusted blood on your pierced zone, do not forget to wash that also. Try to brush your teeth thrice daily to eradicate bacteria and food particles. In initial period of healing opt for a soft bristled brush. Never try to alter your jewelry of your lips before it get healed. Consult with a piercer or you have to wait atleast for 3 weeks. Alteration of your jewelry can close your piercing. If your pierced area has swelling then you can apply ice in mouth. While sleeping try to keep your head elevated above your heart as that will not make you feel uncomfortable for the first few days.